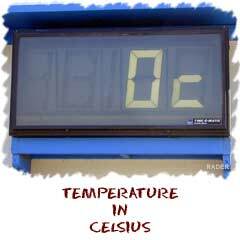 Celsius is the modern system of measuring temperature. It fits in with much of the metric system and has nice round numbers. Water freezes at 0 degrees Celsius and boils at 100 degrees. The scale used to be known as centigrade but the name was changed several years ago. 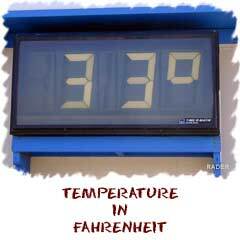 Both Celsius and Fahrenheit are used when discussing our day-to-day weather temperatures. Kelvin is an important scale used in most of science. The big thing to remember is that this is a scale with no units. It offers more than just giving you degree amounts. The scale begins at 0 (absolute zero) and just goes up from there. Water freezes at the value 273.15 and boils at 373.15 Kelvin. The word "Kelvin" comes from the guy Lord Kelvin who did a lot of work with temperatures.